As part of an on-going study of vices of the millennial era, the house of Margiela under John Galliano is exploring the concept of nomadic glamour. For their AW18 Artisanal ready-to-wear collection, Galliano observed the struggles of a roving traveler in an age of decadence, and technological oversaturation. In his The Memory Of… podcast accompanying the show, the Creative Director explained the tribe of what he calls 'Neo-Digital Natives' (NDN), walking the runway. 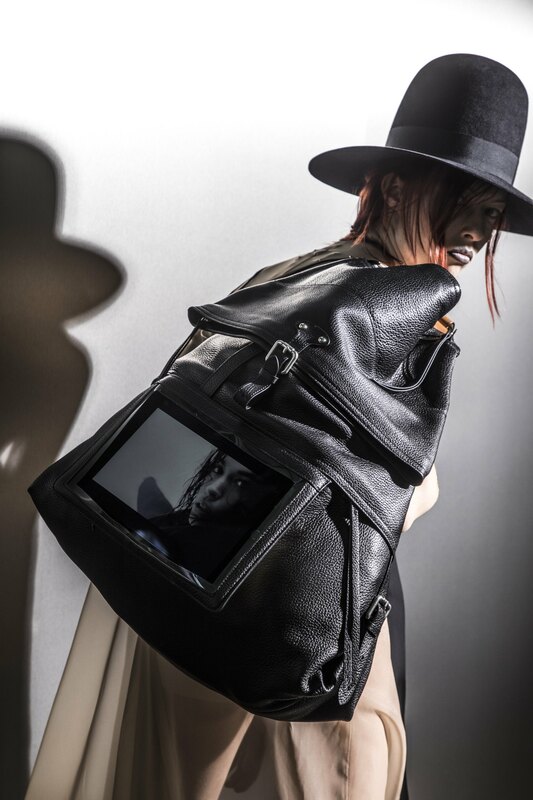 “We’re all nomads today”, he stated, “we’re attached to our iPhones and our iPads, they’re everything.” Models walked with smartphones strapped to their wrists and ankles, and the collection saw the debut of the NDN bag. While initially developed for the AW18 collection, the NDN has become one of the stars of the SS19 Défilé collection. The supersized, gender non-specific bag is a reaction to both a fascination and concern over the era of overindulgence. It is Galliano's answer to survival amongst the sensory chaos that surrounds us. 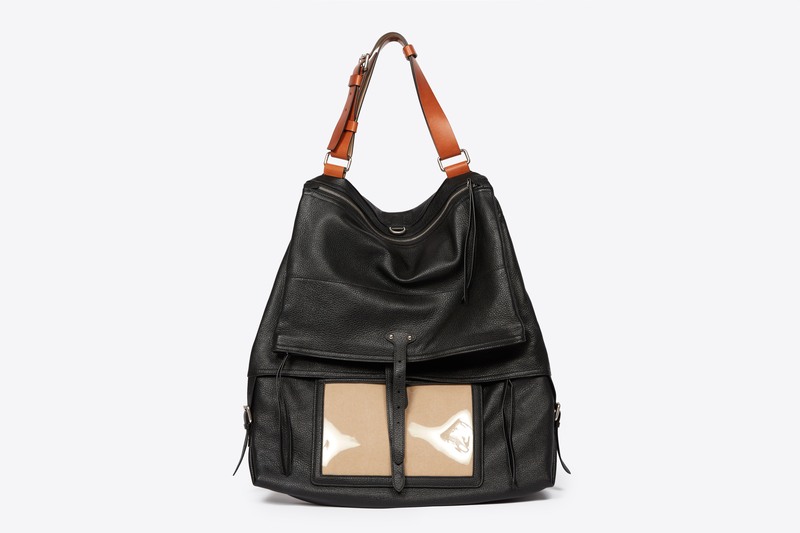 Made from lightweight deer leather or trench fabric, in black, white or red, the bag echoes the transformative and multi-functional ideas characterised by the neo-digital native. A long cotton web handle is detachable and modifiable to create a backpack. While a short bridle leather handle becomes a Margiela belt. 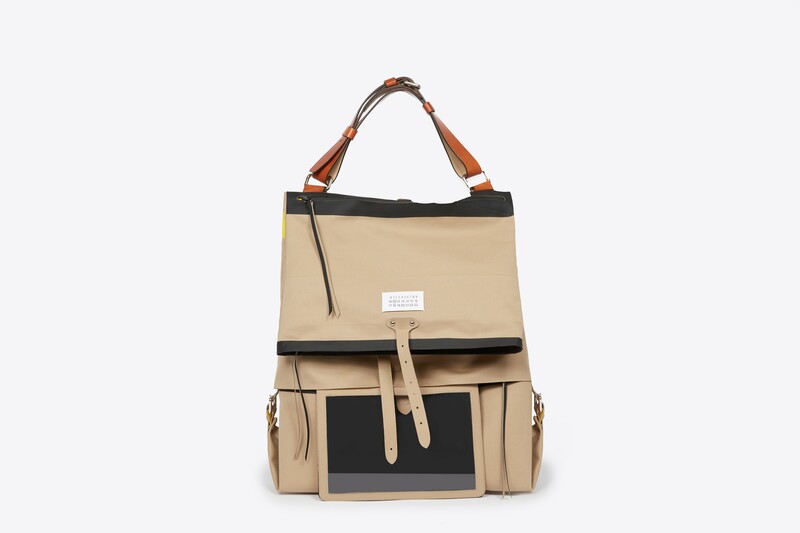 The tablet compartment, available only with the XL bag, has an unsubtle clear window to display the screen on the back of the wearer.